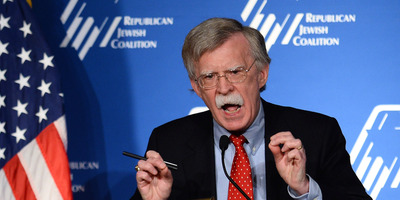 Former United Nations ambassador and newly designated national security adviser John Bolton reportedly made an implicit threat to a former Brazilian diplomat during the lead-up to the Iraq War in 2002. “We know where your kids live,” he is said to have told the diplomat. Bolton and the US at the time had been opposed to the diplomat’s negotiations with Iraq and Libya. “John Bolton is a bully,” the former diplomat said this month. Former United Nations ambassador John Bolton, whom President Donald Trump just named his national security adviser, reportedly made a bewildering threat against a former Brazilian diplomat who was butting heads with the US on Iraq back in 2002, according to The Intercept. The retired Brazilian diplomat, Jose Bustani, who was then serving as the director general of the Organisation for the Prohibition of Chemical Weapons (OPCW), was trying to negotiate with Iraq and Libya to allow chemical weapons inspectors into their borders and to have them agree to destroy their chemical weapons, The New York Times reported in 2013. But the US was reportedly not fond of Bustani’s outreach to these countries, and Bolton, who was one of the primary architects of the Iraq War that began in 2003, himself visited Bustani to pressure him to step down from his post. “We can’t accept your management style,” Bolton told Bustani in 2002, as Bustani recounted to The Intercept. Bustani was taken aback by Bolton’s directness, but did not back down, according to The Intercept. “John Bolton is a bully,” Bustani told The Intercept earlier this month. Bustani told his family about the encounter, and his son-in-law, British politician Stewart Wood, said the incident stuck out in his memory. “It instantly became an internal family meme,” he said. Bustani told his colleagues at the OPCW about the encounter, and one former official who was in the room at the time, Gordon Vachon, said Bolton had made another threat to Bustani as well. Vachon told The Intercept that he recalled Bolton saying Bustani “could go quietly, with little fuss and restraint on all sides and ‘without dragging your name through the mud,'” he said. “I cannot say from memory that I heard Mr. Bolton mention DG Bustani’s children, probably because I was reeling from Mr. Bolton’s thinly-veiled threat to DG Bustani’s reputation,” Vachon said. Bustani eventually was forced to step down after the US convinced its allies in the organisation to rally against him, according to The Times. He was forced out by a stunning vote of 48 to 7 and 43 abstentions. Bolton is slated to begin his tenure in the White House on April 9.